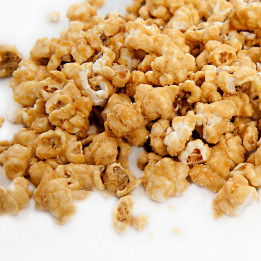 Our caramel popcorn is sweet and crunchy with a hint of salt. 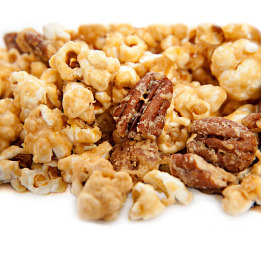 Boozy bourbon and crunchy pecans are combined with our caramel sauce to create a sweet treat. 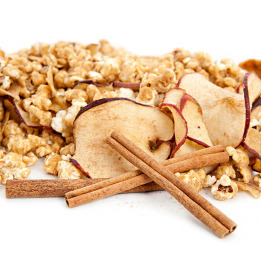 Cinnamon caramel sauce and apple chips combine to make the perfect sweet snack. 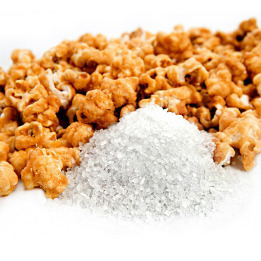 Caramel sauce with coarse sea salt creates a snack with the perfect balance of sweet and salty. Gift basket including 1 Queen Bag, 2 Royal Bags and 4 Junior Bags. 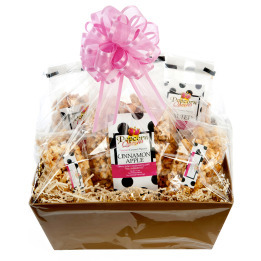 The Queens will select a variety of their best selling flavors to include in the basket unless customer notes otherwise at checkout. 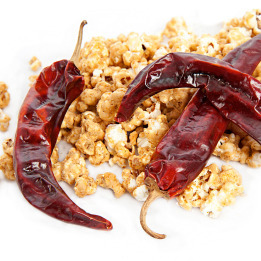 Sweet meets spicy and smoky; the chipotles provide a subtle kick perfect for the spicy food lover! 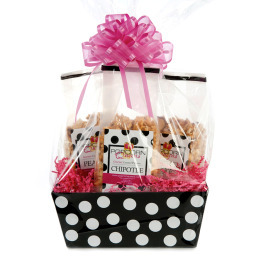 Customer selects 3 flavors from those that are available. 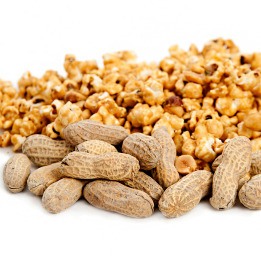 Our classic caramel popcorn is infused with salted peanuts for another classic taste.